If you own or manage a small business, you may worry so much about certain financial issues that you have trouble sleeping at night. Some of these issues might include lost receipts, not getting paid for products or services, not knowing where your business stands financially, or being audited by the IRS. Fortunately, help is just a spreadsheet away. 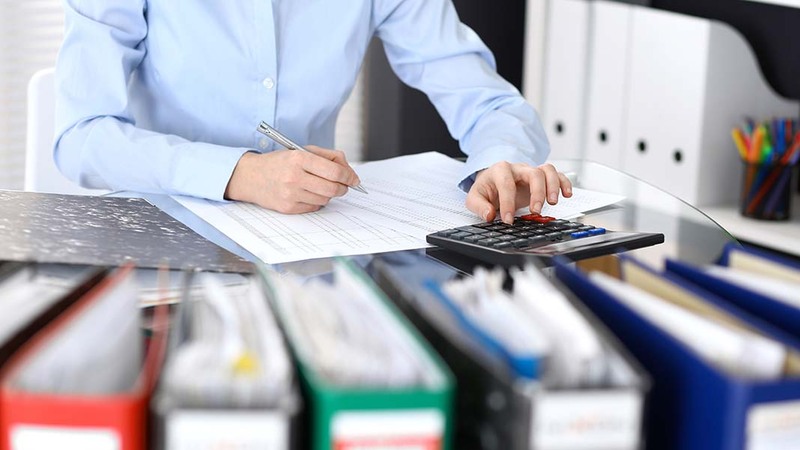 An experienced bookkeeper can give you peace of mind on a number of business-related tasks. Bookkeeping assistance can clear away time for you to do what you really want to be doing: growing your business. But what, exactly, does a bookkeeper do? Well, duh! That may sound so obvious it’s hardly worth mentioning. Let’s break it down a little further, though. A bookkeeper works to categorize and record your day-to-day income and expenditures. This makes it possible for you to see—and analyze—the precise cash flow of your business. While pumping numbers into spreadsheets may sound pretty laborious, the categorizing of these isn’t always so straightforward. Deciding which numbers go where is important because it can impact your balance sheet or your tax liability. It can also require more creative thinking than one might imagine a bookkeeper normally exhibits. There’s little a bookkeeper likes more than solving a particularly gristly problem. With all these skills at the ready, it’s like having a Swiss Army knife right there in your financial toolbox. Another task bookkeepers often do on a regular basis is to collect and remit sales tax to the various government authorities. This can be quite burdensome, especially if you sell products or services online or across a number of state boundaries. Beyond that, while bookkeepers don’t actually prepare your tax returns, they perform much of the groundwork for the accountants who do compute your taxes. Bookkeepers strive to make certain that your income and expenses are accurately recorded, helping you to get all the deductions to which you are entitled. Lest there be any confusion, a bookkeeper is not an accountant. While bookkeepers deal in the daily details of your business finances, an accountant performs higher-level processes that are often more subjective than bookkeeping. Typically, accountants prepare company financial statements, analyze the costs of operations, and complete income tax returns. Accountants also take the financial information compiled by you or your bookkeeper and use it for modeling business plans and for offering strategic advice. They look at the big picture of your business. Whether you need an on-staff or part-time bookkeeper, finding one is fairly simple. There are also a number of reliable online bookkeepers that can be a benefit to your business at a reasonable cost.